The board of directors at nonprofit science and engineering research organization MITRE Corp. has unanimously appointed two-decade firm veteran and current Senior Vice President Dr. Jason Providakes to succeed Al Grasso as president and CEO in a transition scheduled to take effect March 6. MITRE said Tuesday Grasso will continue as a member of the firm’s board of trustees after 10 years as its chief executive. Providakes currently serves as SVP and general manager for MITRE’s Center for Connected Government, one of seven federally-funded research-and-development centers the organization operates for the federal government. 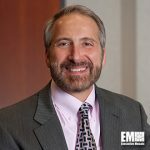 He first joined MITRE in 1991 and his roles at the nonprofit have included director of the Homeland Security Systems Engineering and Development Institute, and director of the Joint and Defense-Wide Systems Division within the firm’s National Security Engineering Center. 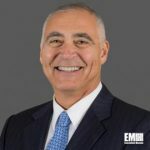 Grasso has been selected two times to Executive Mosaic’s annual Wash100 list that recognizes the government contracting arena’s most influential leaders with his inductions having taken place in 2015 and 2016. During Grasso’s tenure, MITRE also has received awards such as the Secretary of Defense Medal for Outstanding Public Service and the Air Force Association’s Theodore von Karman Award in 2008, as well as the National Aeronautic Association’s Collier Trophy in 2007.